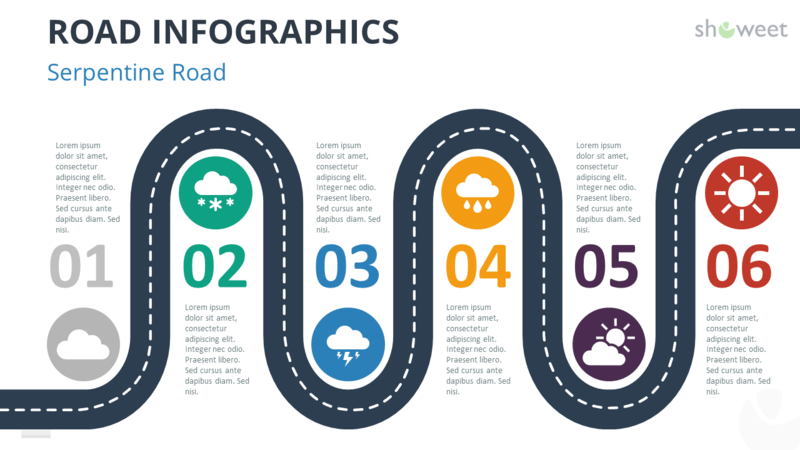 Road designs are widely used in presentations as visual metaphors (like for the famous “road to success”). 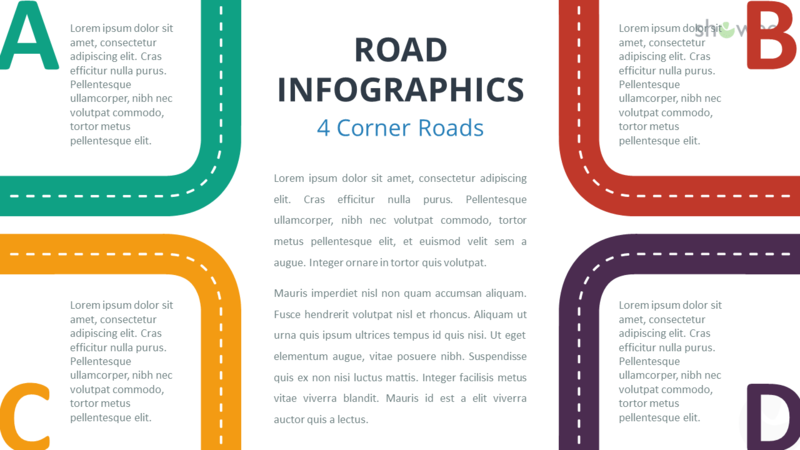 The road shapes are great to illustrate in your presentations your ideas, a timeline or a process (vertical, horizontal, diagonal, alternating), or even for a matrix. 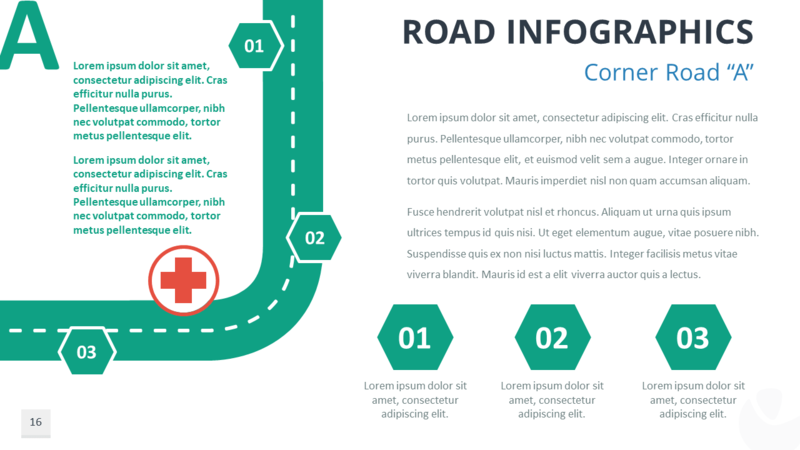 Each PPTX document contains a complete selection of 20 custom-made road variants with completely editable creative shapes and text placeholders. 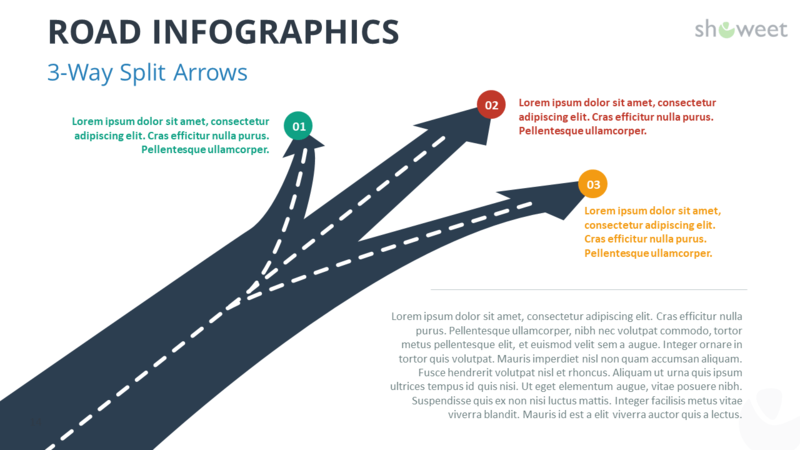 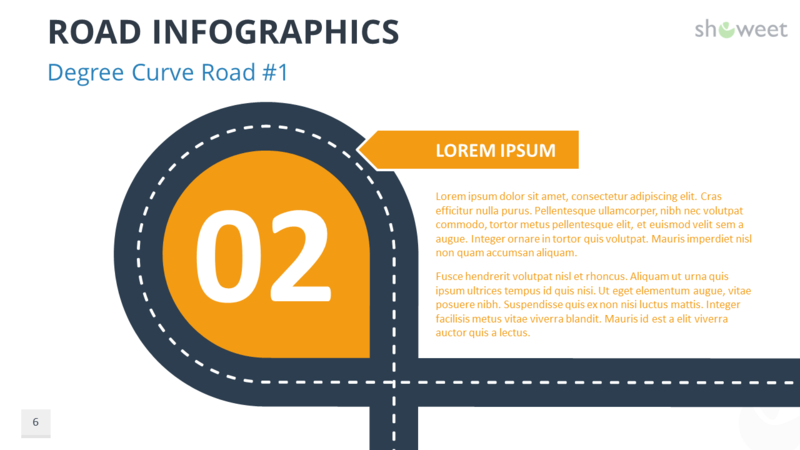 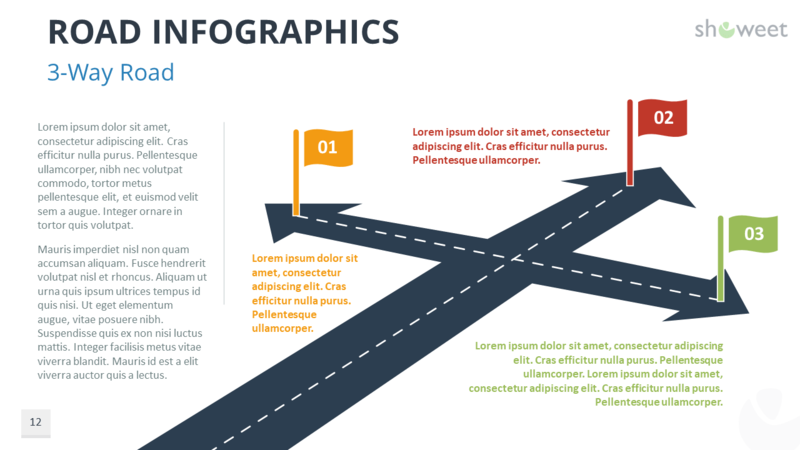 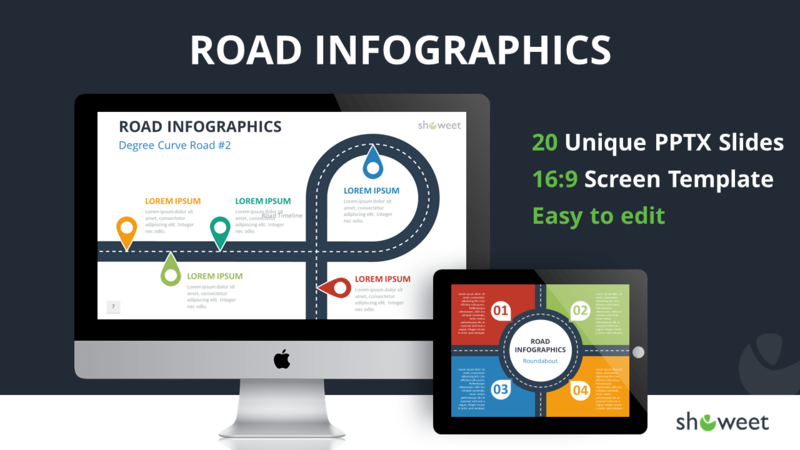 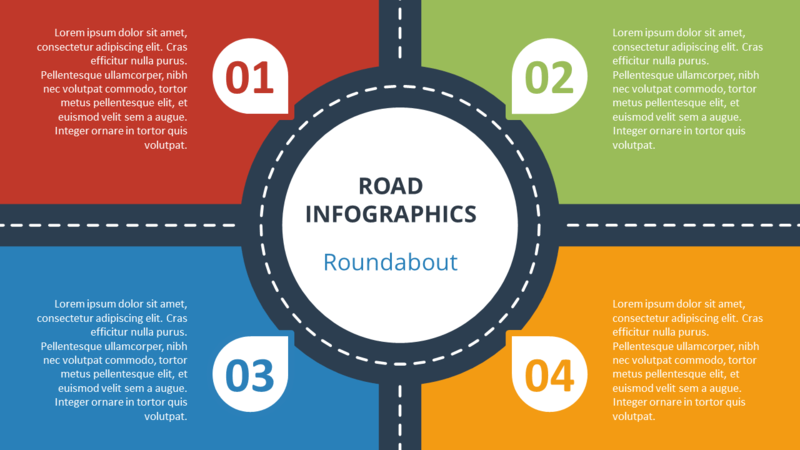 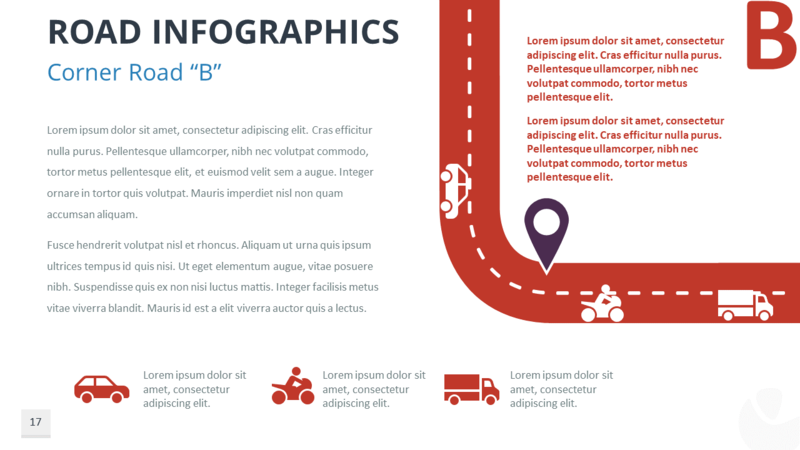 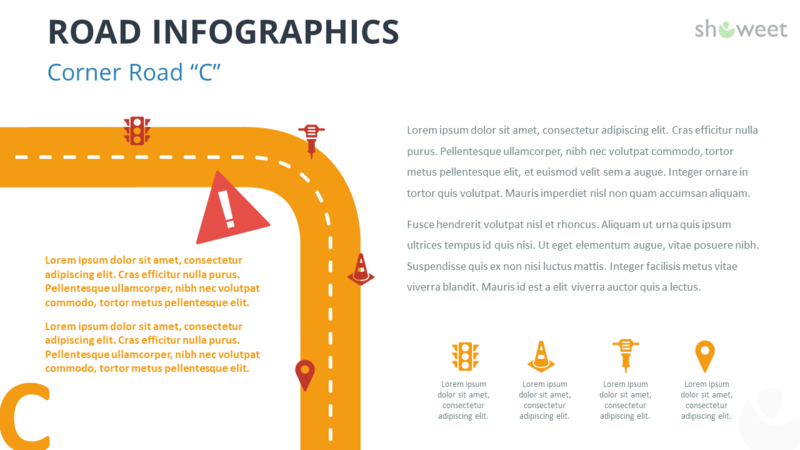 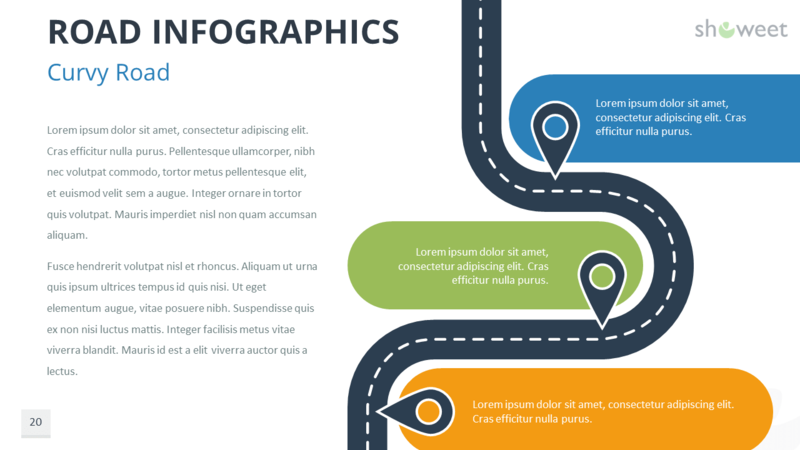 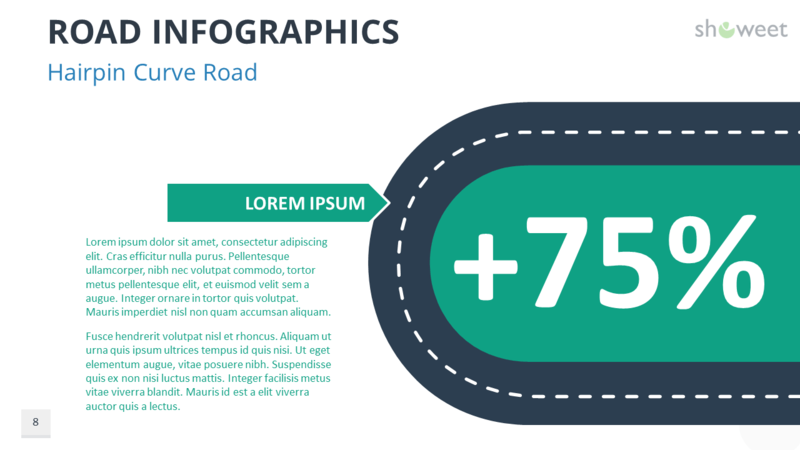 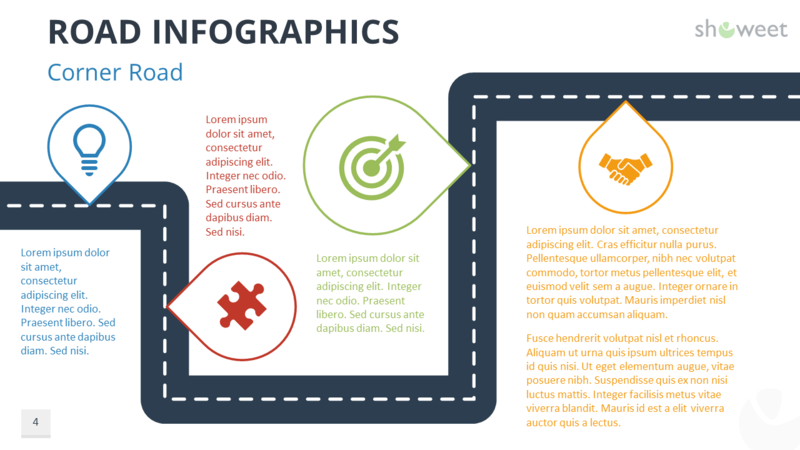 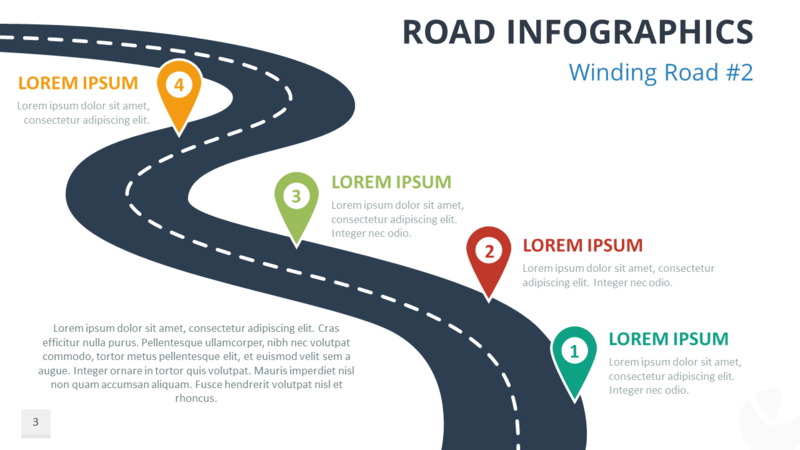 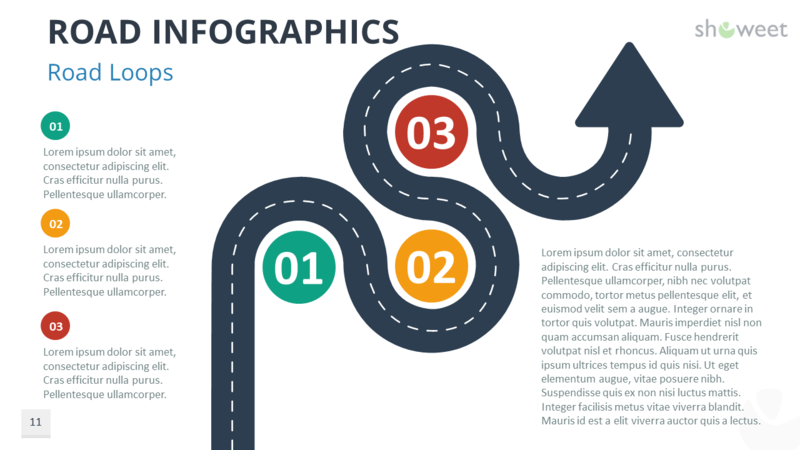 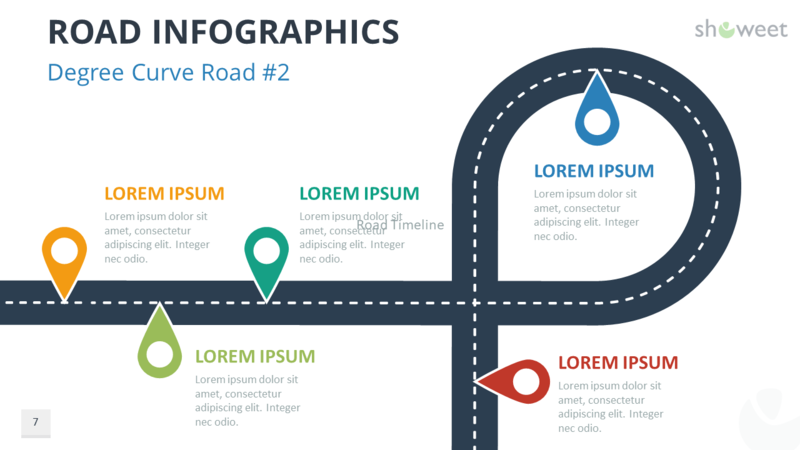 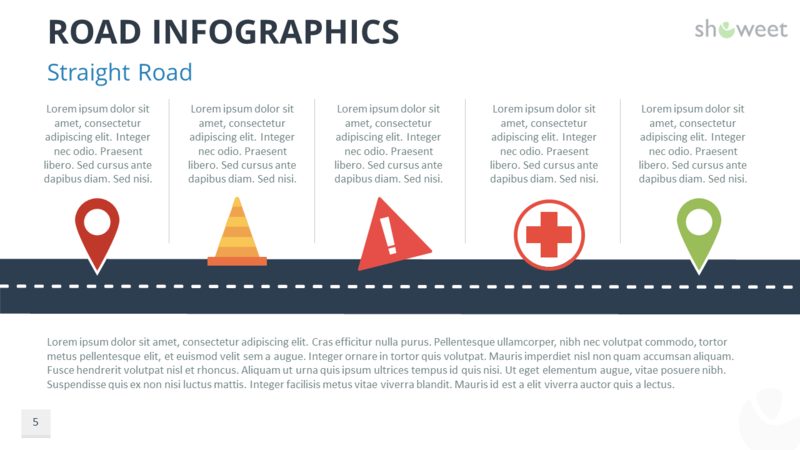 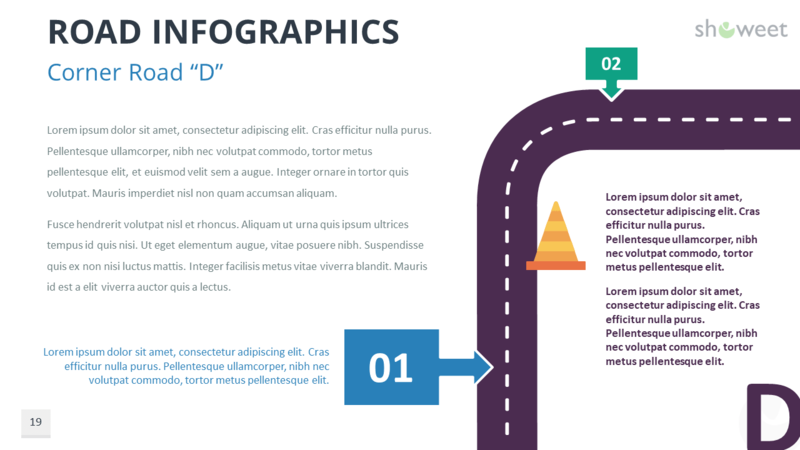 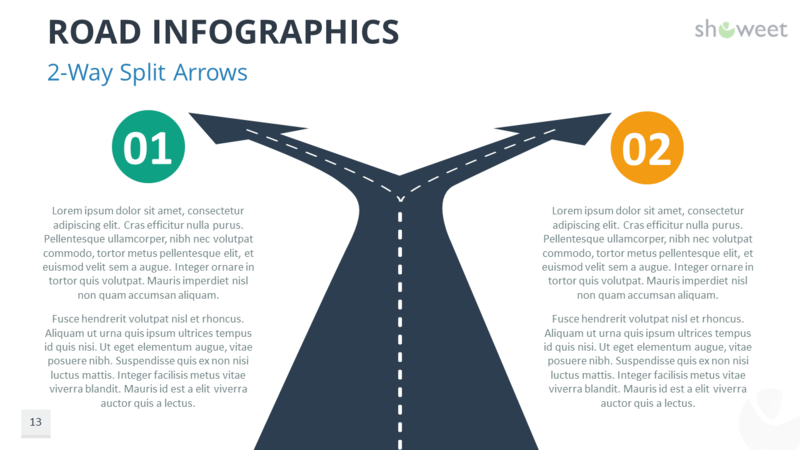 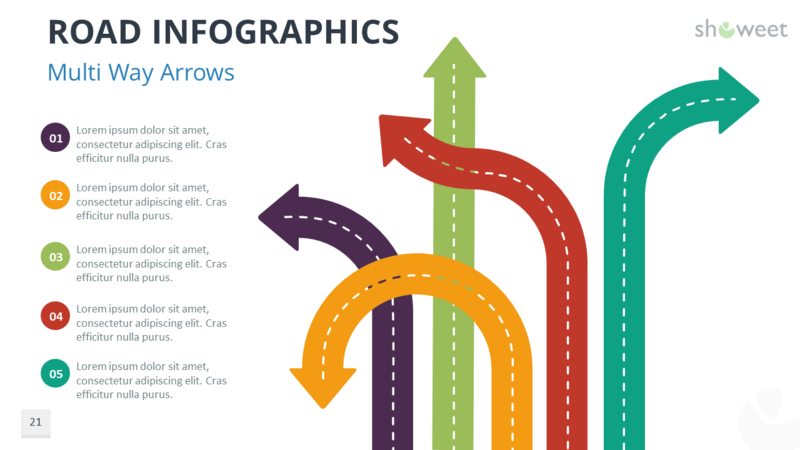 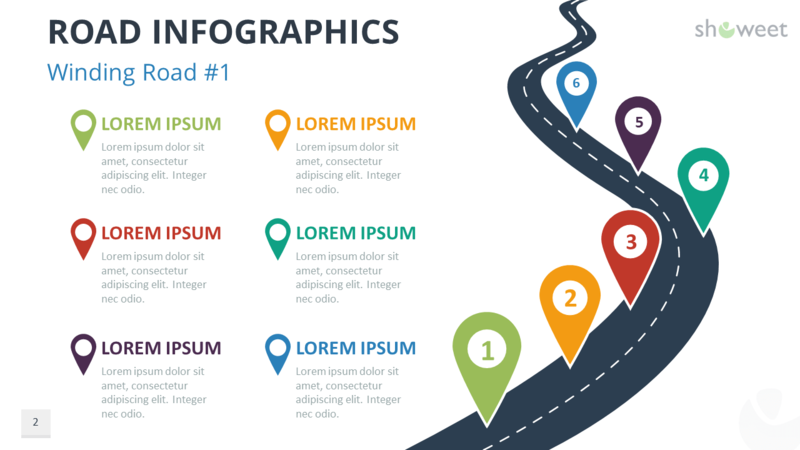 Download these ‘Road Infographics for PowerPoint’ for free!